Doris is Today Translations’ Regional Adviser for Asia, providing insights and direction for communication and collaboration between companies that traverse from east to west and vice versa. 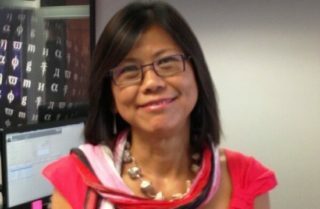 A native of Hong Kong and educated in Hong Kong, Taiwan, France and the US, Doris worked with major multinationals and government agencies in consulting and in-house roles in her 30-year career in journalism and corporate communications, including financial/investor relations, as well as media skills and crisis management training. Her experience encompassed an array of industry sectors ranging from energy, IT, payment systems and telecommunications to pharmaceuticals and hospitality. Fluent in English, Mandarin, Cantonese and French, Doris has been an intercultural resource for expatriates relocating from Europe and the US to Asia since 2005. Doris holds an MA from the University of Chicago.